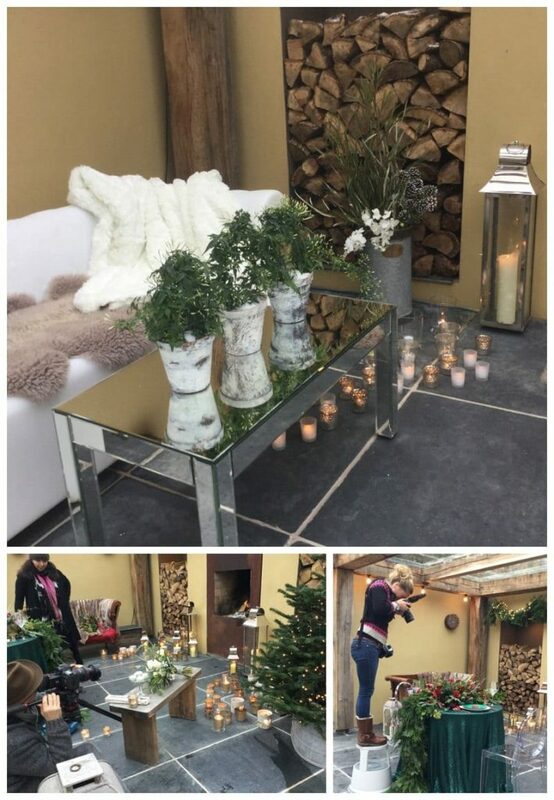 Yesterday we had a dream team on site for a winter elopement photo shoot. 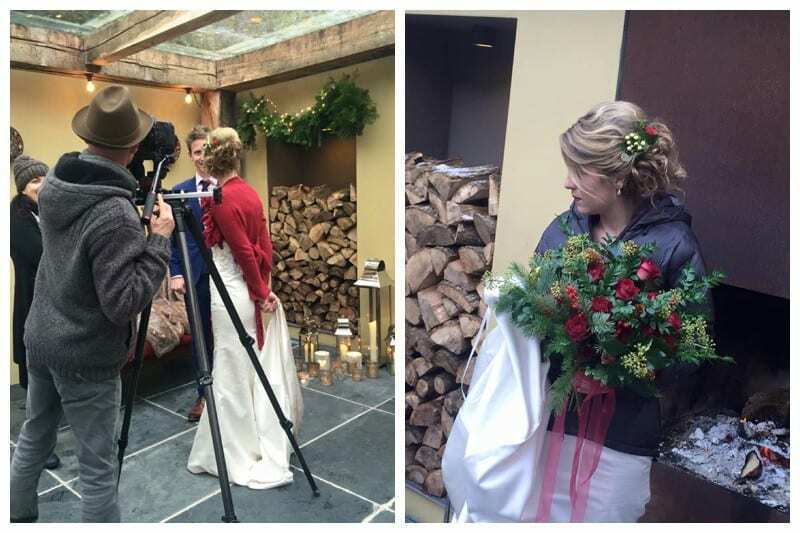 Clare Kinchin was our photographer, Clare is the dedicated elopement photographer here at Ever After. 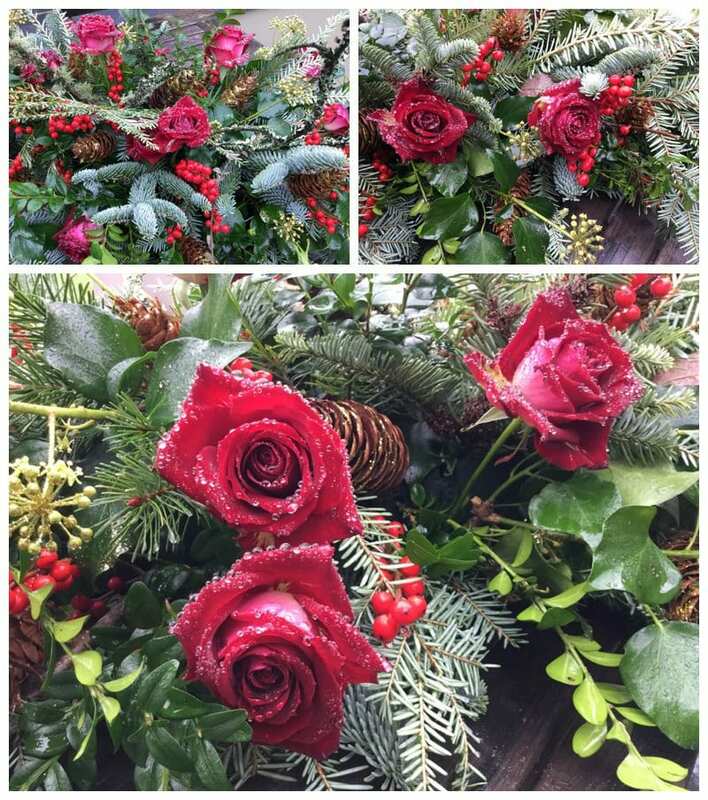 Amanda Randell was the flower lady, if you’ve seen Amanda’s work, you’ll know it’s always spectacular. Jodi and her team from Hair Lounge Tavistock were our hair stylists and Jess and her team from Visage aesthetics and beauty Tavistock were the MUA. Caroline and Chris from Baxter and Ted were new members and filmed the day. We had real life couple Kayliegh and Ben as our bride and groom models. Kayliegh and Ben got married locally in the area in June and Kayliegh was thrilled to have the chance to wear her gorgeous frock again and Ben seemed pretty pleased to see his ‘bride’ again! Kayliegh was a trooper for the outdoor shots matched only by Chris the filmmaker in bare feet by the river – we always admire dedication to the cause! and the other a complete contrast with wood, evergreen, red and gold. And boy did the team deliver! 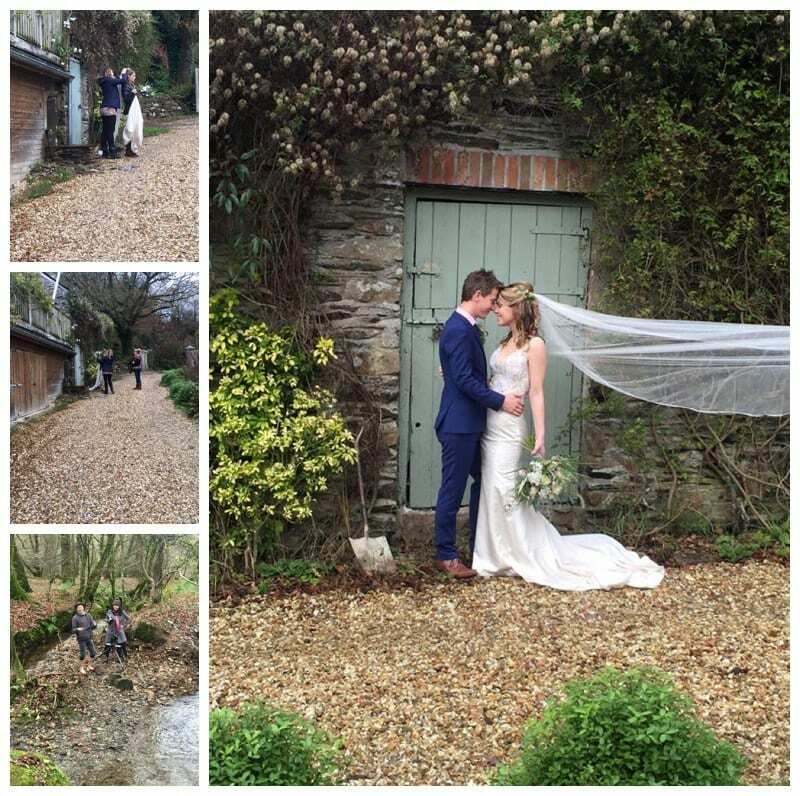 I’m sharing a couple of behind the scenes pics from yesterday, the ‘proper’ ones will be available soon. 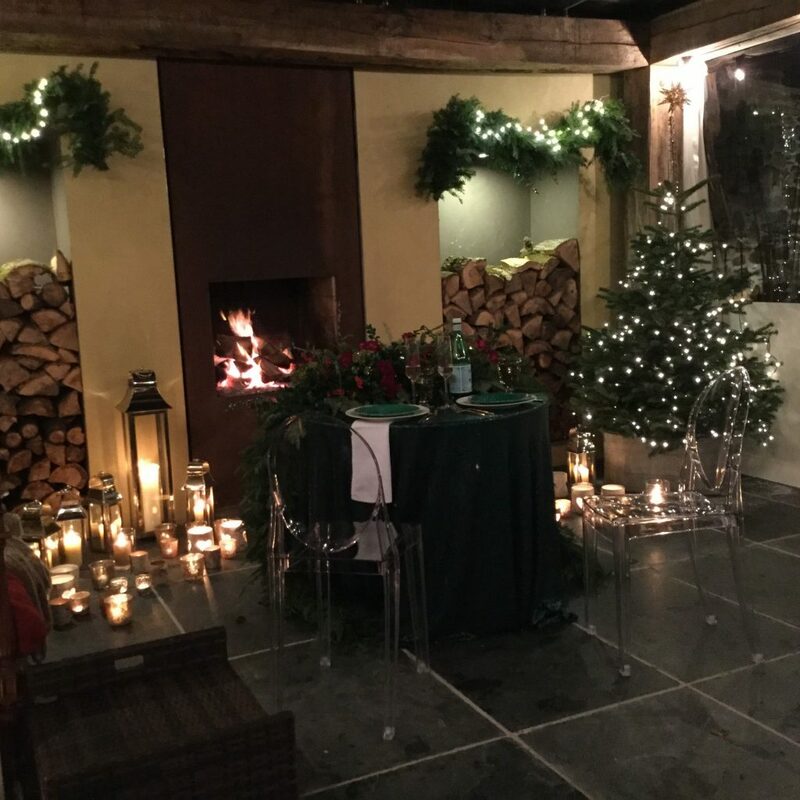 The lovely S and I dined by the fire last night in style – definitely a perk of the job!